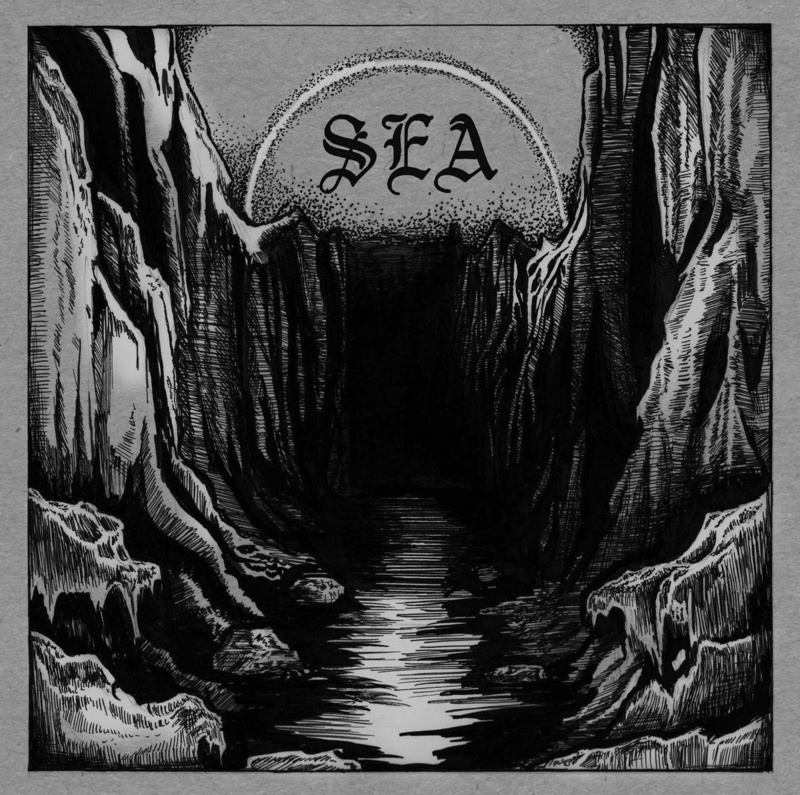 This is the début demo from US Doom band Sea. Sea play their Doom with a good amount of Sludge and roiling Neurosis-styled claustrophobic heaviness. These three tracks drag themselves along, lazily pounding out heavy riffs alternated with more restrained sections, with even the odd guitar solo drifting out from the sludgy miasma that they create. They shift up a gear on rare occasion, introducing some blast beats into their style. These are infrequent and short lived, but it all adds to the music in the right way. The vocals mainly consist of rough semi-cleans and higher, softer, clean vocals that emphasise the more emotive parts of the songs. These lighter parts showcase a Post-Metal side of the band, allowing them to demonstrate the breadth of ability that they clearly have. There are some really strong guitar parts across these tracks and the band stand out quite quickly as being above-average in the songwriting department. It’s all very memorable, surprisingly diverse and even catchy for the style. Sea have made a good impression with this demo and the songs are very enjoyable. I like this kind of gritty, heavy and emotive style of Doom and it would surely be a hit for fans of bands like Neurosis, Sorxe and Sea of Bones, in my opinion. A highly promising first release. This entry was posted in Doom and tagged Doom, Metal, Post-Metal, Sea, Sludge. Bookmark the permalink. I’m certainly going to have to check this out!